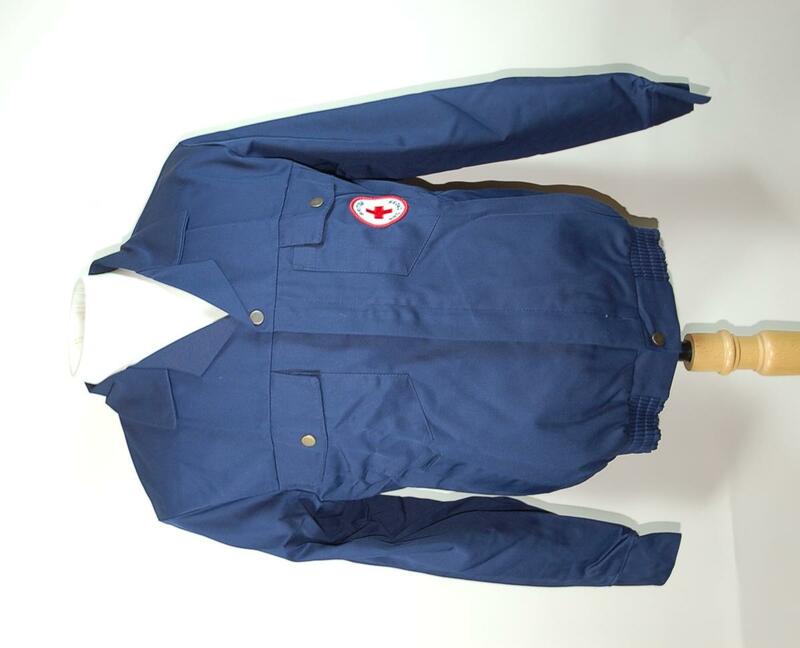 Red Cross working top, navy blue, polyester. Jacket style top with zip running the length of the front centre, concealed, press-stud to top and bottom. V-neck with collar. Chest pockets to either side of the zip with flaps which have press-studs. Hip pockets to either side. Elasticated waistband at bottom. Proper left chest pocket has a white circular cloth badge with red edges, at its centre is a red cross with "BRITISH" written above and "RED CROSS" written below. Long sleeves with press-studs at cuffs. Reverse plain.